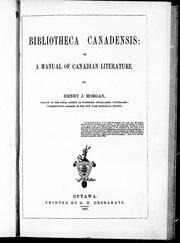 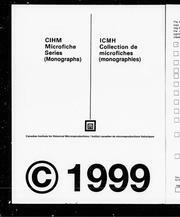 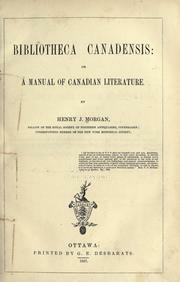 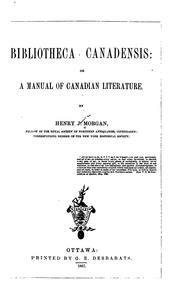 Bibliotheca canadensis: or, A manual of Canadian literature. 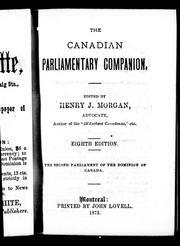 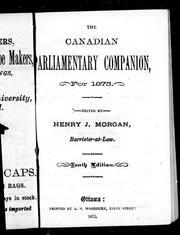 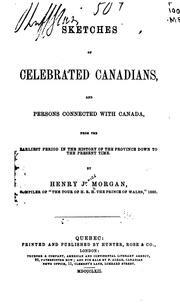 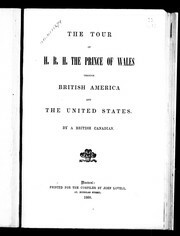 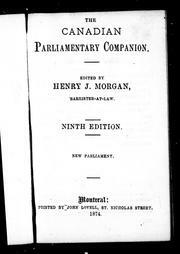 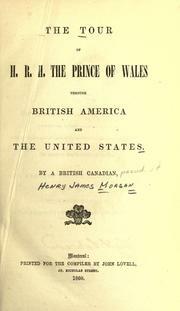 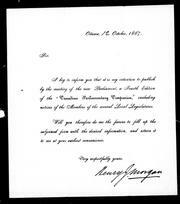 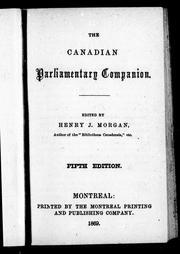 The visit of the Prince of Wales to Canada in 1860: Mr. Morgan's reply to "Observer" in full. 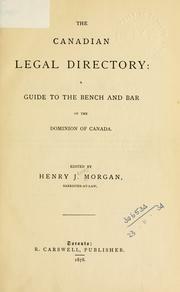 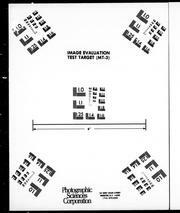 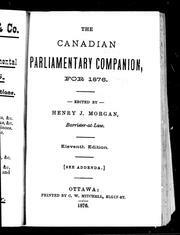 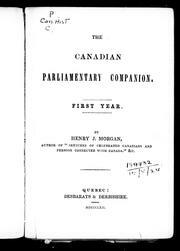 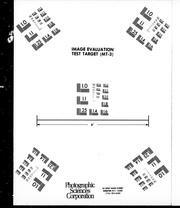 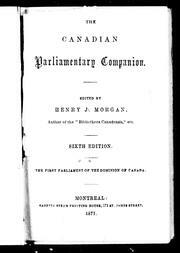 The Canadian legal directory: guide to the Bench and Bar of the Dominion of Canada. 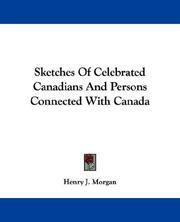 Types of Canadian women: and women who are or have been connected with Canada. 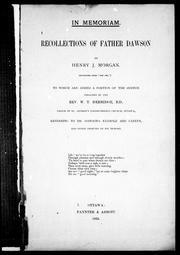 In Memoriam: Recollections of Father Dawson ..: to which are added a portion of the sermon preached by W.T. 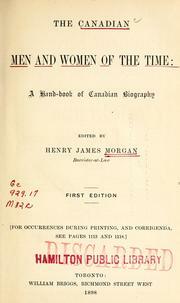 Herridge referring to Dr. Dawson's example and career, and other tributes to his memory. 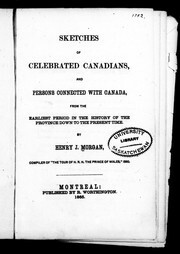 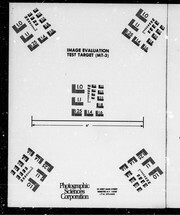 Sketches of celebrated Canadians: and persons connected with Canada, from the earliest period in the history of the province down to the present time. 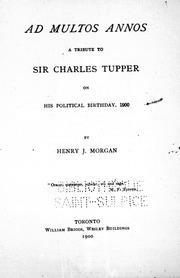 Ad multos annos: a tribute to Sir Charles Tupper on his political birthday, 1900. 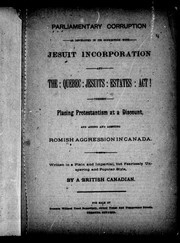 Parliamentary corruption as developed in its connection with Jesuit incorporation and the Quebec Jesuits Estates Act! 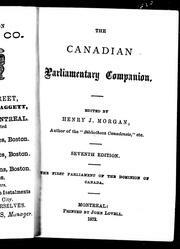 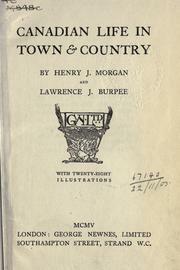 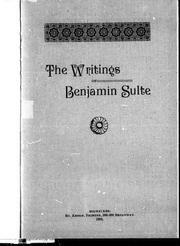 The Elgin period: the late Honorable Mrs. Robert Bruce, interesting reminiscences. 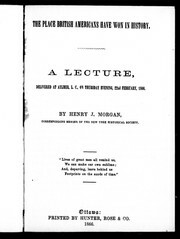 Are you sure you want to remove Henry J. Morgan from your list?